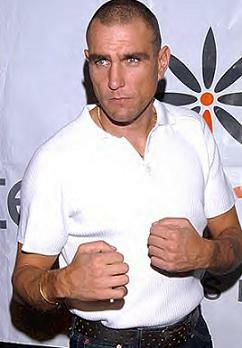 Stonewall Gazette: Vinnie Jones: One of Hollywood's hottest gay pin-ups? The Daily Star describes Vinnie Jones, the former British footballer turned actor as "one of Hollywood's hottest gay pin-ups" and also says he has "gay fans". Oh, really? I must have missed the memo on this one. Lock, Stock And Two Smoking Barrels star Vinnie once hit the roof after a perfume advert in which he posed naked appeared in a gay magazine. He was enraged at a decision to place the ad, in which he was seen kneeling at another man’s groin, in Attitude magazine, because his son was taunted at school. Vinnie insisted that when it came to attracting female fans he always thought that he was “too big and too ugly”.